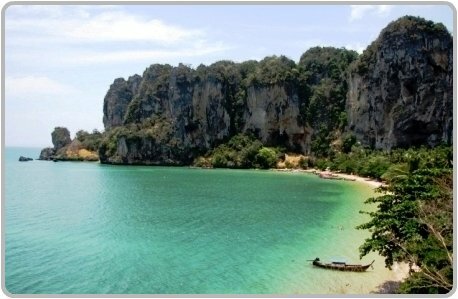 Ton Sai Beach is located in Ton Sai Bay between Ao Nang and West Railey beach on the mainland of Krabi Province. This picturesque beach is framed by towering limestone cliffs and thick jungle and is just one of the four beaches located in the Railay Peninsular. 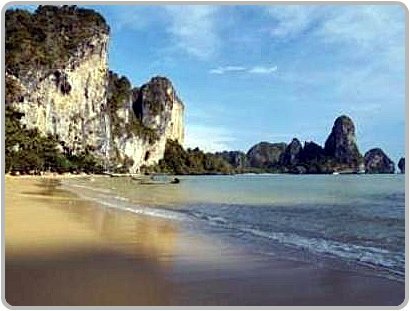 The towering cliffs that frame the beach, completely cut off Ton Sai and the other areas of the Railay Peninsula from the mainland of Krabi. The only way to get to Tonsai Beach is by longtail boat from Ao Nang. 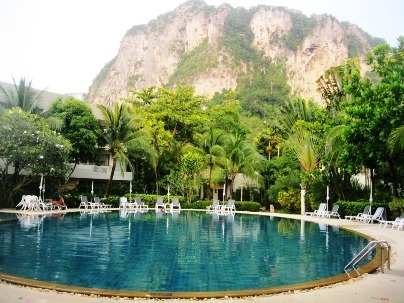 Ton Sai Beach is a top spot for rock climbers and a popular destination in Krabi for backpackers. The beach is not really the best spot to go swimming, and is very rocky on low tide. 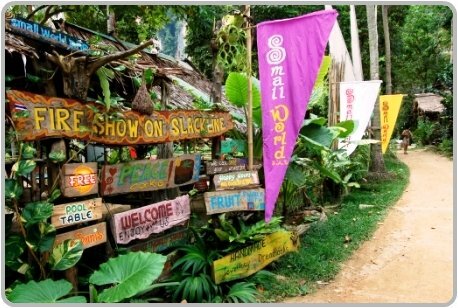 Most people that stay at Ton Sai do so because it’s a great spot for rock climbing, and is ranked as one of the best places in the world. Many visitors return here year after year to climb the many different routes. There is a few resorts and some cheap budget style accommodation at Ton Sai including bungalows and bamboo style huts, off which most are situated in the hills behind the beach. 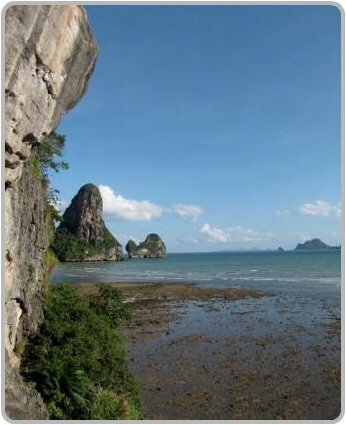 At low tide you can walk over and around the rocks from Ton Sai to West Railay. Or alternatively, there is a trail that winds through the jungle to West Railay, however I wouldn’t attempt this trek at night. There is also a flatter 20 minute jungle trail to East Railay. Nightlife at Ton Sai continues almost as long as you like, with a range of very laid back beach bars. The Chill Out Bar and Small World Bar are two of the best and they play live music. There are plenty of restaurants at Ton Sai as well as several mini-marts and a couple of internet cafes. For more serious shopping you will need to go to Ao Nang. Rock climbing is the main activity, but there are loads of other fun activities to enjoy such as kayaking, snorkelling and island hopping. If you are planning on staying at one of the bungalows at Ton Sai, the only way to get there is by longtail boat from Ao Nang. If the tide is low the longtail boats can’t pull up on the beach and they will have to drop you off away from the beach, leaving you to walk to the shore with your luggage over slippery rocks. Read what other travelers have to say about Ton Sai beach on TripAdvisor.